Buy Bear's Books - Reading is fun with Bear! Bear, the dog loves Christmas, and he especially loves getting new toys and treats from Santa. 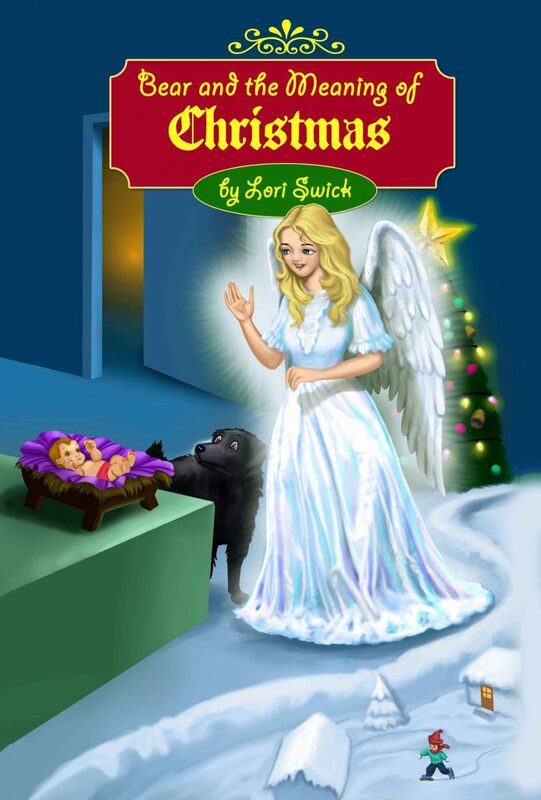 Then he meets an angel, and he learns something more about Christmas. He learns about the birth of Jesus and what He can do for us and, more importantly, what we can do for Him. But there’s something the angel wants Bear to do with what he’s learned. She wants him to remind the world of the true meaning of Christmas. After all, she knows what Bear can secretly do. What is Bear’s secret and how will a silly black dog accomplish this grand task? A Christmas story the whole family will enjoy! For the little ones, a condensed version of the chapter book “Bear and the Meaning of Christmas.” What will Bear, the dog learn about the true meaning of Christmas? And what will he do to spread the word? The older kids will love coloring with Bear, too!